PYRA: Occupy Bank of America? ROMNEY: “Yeah, exactly. Yeah. If you are in the right, and you’ve got the documents to prove it, I’d go after them. The other thing you can do is file a suit against them. 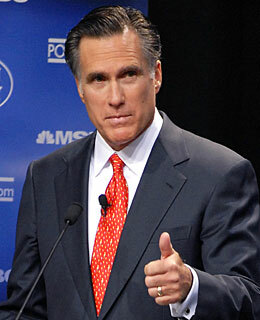 ROMNEY: Ah, just file it in small claims court. Just say that they’ve been harassing you. If you’ve been making your payments, and you’ve got your documents, then you can show that, I’d go to small claims court and say these guys have been harassing me. Quite often in situations like this, and you are in the right, it may be necessary to take a company or person to small claims court. Before you jump to that, we recommend writing a demand letter first. One tip people commonly forget is including a date by which you expect response or some other action from the party. Make sure it’s reasonable time for action, otherwise a court will not think you are being fair to the other party. For more information, check out the original news article.